The Katy stories were what established Victoria Eveleigh as an author. I read those when they were first out, and loved their inspired rejection of the pink, frilly and sentimental. 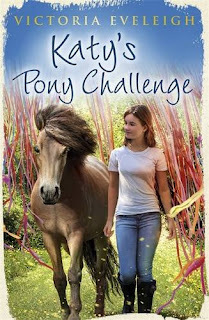 The stories were picked up by Orion, re-written, and after an excursion into an excellent pony series centring around boy hero Joe, Victoria has returned to Katy and her Exmoors. I have kept putting off this review until I can read episode four, and the very newly released episode five Five Stride Line, but I am going to give that up. Not because I'm not enjoying the stories, because I am, very much, but time to sit and read and consider seems to be eluding me at the moment. The Pony Jumpers is a series of novellas, each centring on a different character from Lattey's earlier Dream On. This very much plays to the author's strengths. There wasn't a character in Dream On that I didn't enjoy, or who I felt was poorly realised. Each of them read as if they were complete people, who could step out of the novel at any time and walk off into their own story. And Kate Lattey has picked up some of those characters, and allowed them to their own stories. 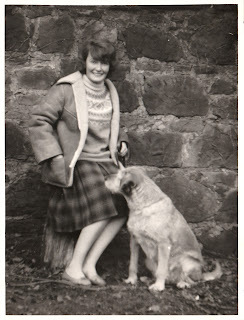 Patricia Leitch, author, died on 28th July 2015. She wrote over 30 pony books, but she was anything but a genre writer. With A Dream of Fair Horses, and her Jinny series, she wrote books that transcended the usual girl plus pony story. Pat's heroine Jinny and her wild Arab mare Shantih were not the wish fulfilment that many pony book heroines are to their readers - the people who have what you most want in the world. Jinny was far more than that. To many of her readers, Jinny spoke directly to their hearts and souls. Her struggles to understand her world were theirs.